Nicole Hackley is our Director of Operations which is basically a fancy way of saying that she is the glue which holds White Lion together. The many hats she wears include HR, Accounting, Bookkeeping, Social Coordinator liaison, occasional Project Manager, and general Operations of the Office and Internal Projects. 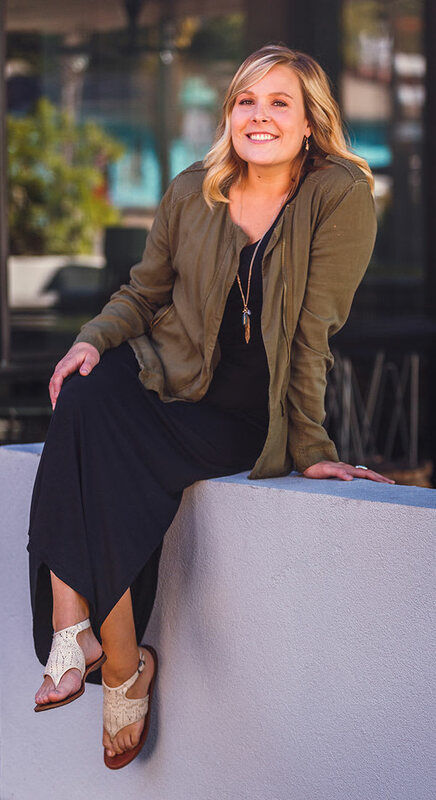 Originally from Kansas, Nicole moved to Austin in 2008 after getting her degree in Secondary Education with an emphasis in English from Kansas State University. Like most transplants living here, she came to visit and refused to leave. In her free time you can find Nicole reading a good book, napping the day away, being outdoors with her Corgi Pickles, taking in a movie at the Alamo Drafthouse, listening to live music of any kind, trying to get to every restaurant on her bucket list which seems impossible these days with new restaurants sprouting up every week or planning her next big travel escape around the world – Greece is up next! "That’s the real trouble with the world, too many people grow up."